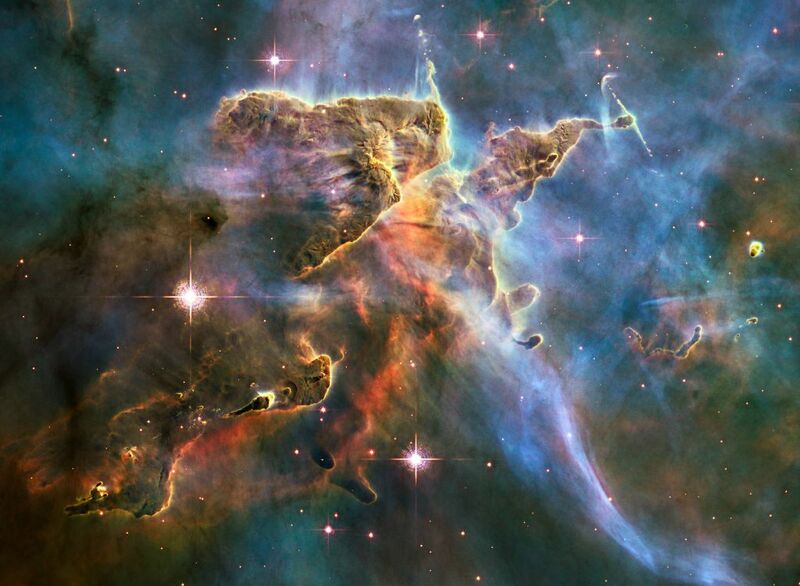 The Carina Nebula is one of the largest, brightest and most spectacular nebulae in our galaxy. Within it, pretty much everything, all across the astronomical spectrum, is present. Nothing stands out quite like the part called Mystic Mountain (below) does. The feature, which was named after the Lord of the Rings series, consists of a series of pillars filled with gas and dust. The largest stands roughly 3 light-years—or 18 trillion miles (27 trillion km)—high (one light-year is equal to approximately 6 trillion miles/9 trillion km). The density of the material and the intensity of solar winds prove conducive to star-formation activity, but that same things come at a great cost to the pillars themselves. 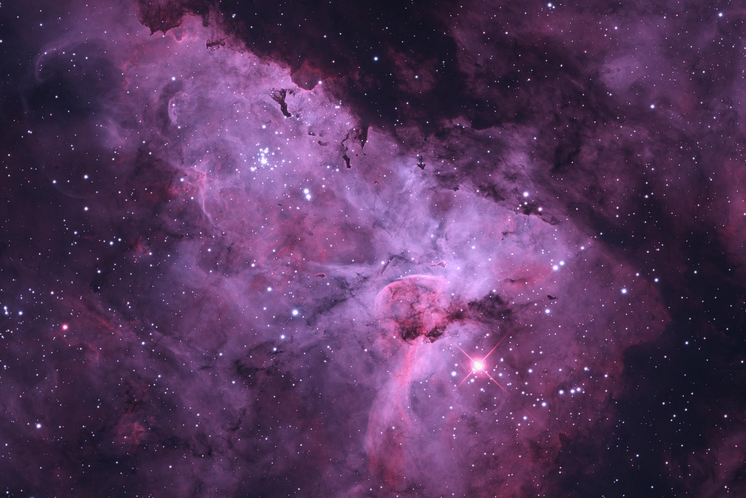 As stars take shape, they begin to emit lots of ultraviolet radiation, which energizes the gas and erodes the dust. Eventually, their cocoons will disappear altogether, leaving the stars completely exposed. 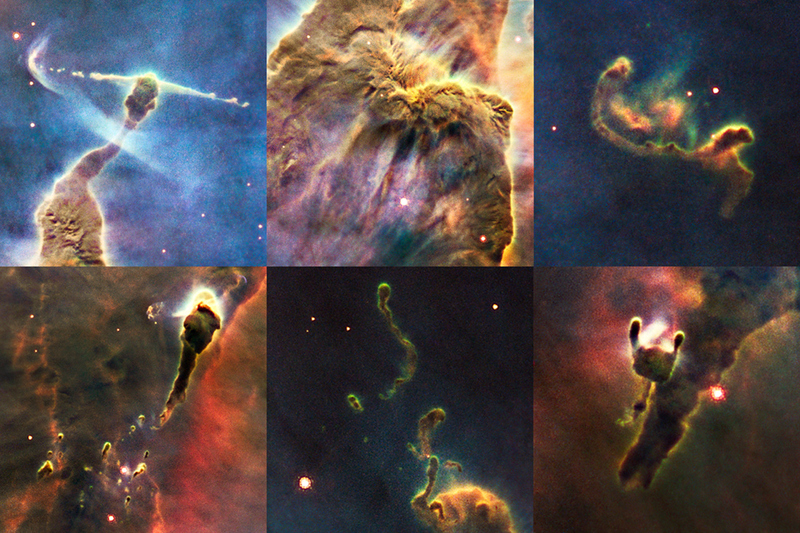 In the meantime, infant stars drive most of the features that make this star scene so diverse and decidedly unforgettable. For example, stars still buried inside eject jets of superheated materials from their poles; Some of the light trickles through, and emerges toward the tips of the pillars. Called Herbig–Haro (HH) objects, those associated with Mystic Mountain have been dubbed HH 901 and HH 902 respectively. 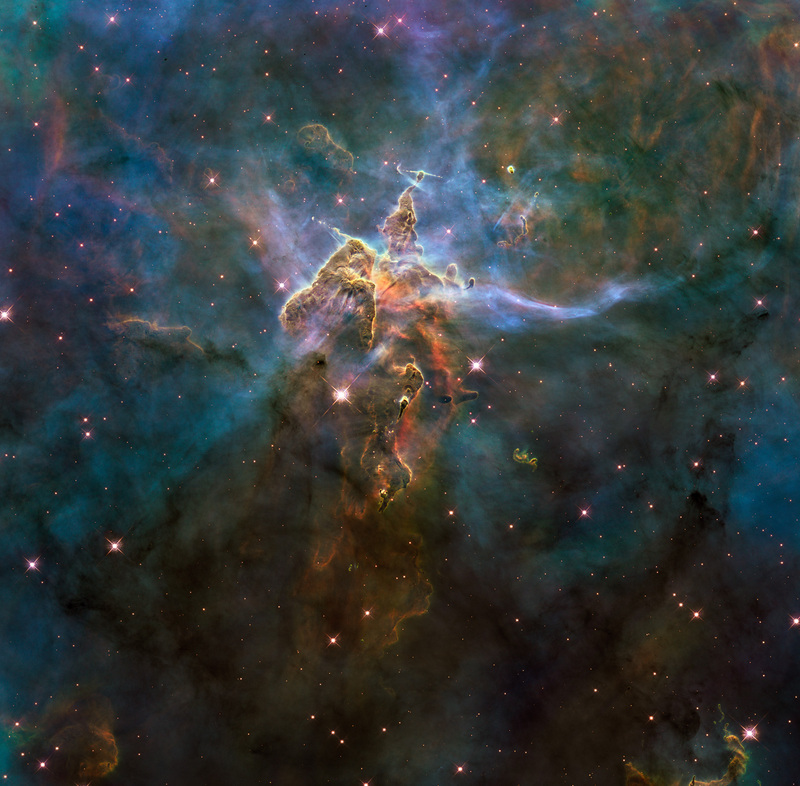 The Carina Nebula, in all of its glory, can be found approximately 7,500 light-years from Earth toward the Carina constellation. Overall, it spans at least 300 light-years across, and boasts over 14,000 stars. Some are among the most massive in the known universe.